Overnight, his simple life is shattered, and he is thrust into a perilous new world of destiny, magic and power. 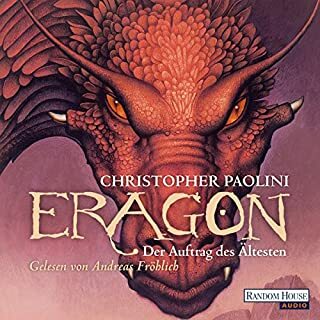 With only an ancient sword and the advice of an old storyteller for guidance, Eragon and the fledgling dragon must navigate the dangerous terrain and dark enemies of an Empire ruled by a king whose evil knows no bounds. Can Eragon take up the mantle of the legendary Dragon Riders? The fate of the Empire may rest in his hands…. Don't understand why a young female dragon would sound like the cookie monster...so much unnecessary dialogue but entertaining enough. Won't be listening to the next book if same narrator. Hate the dragons voice and the dialogue feels forced at times but otherwise good story. Why is Saphira voiced by the Cookie Monster? Great story, but why make a beautiful young magical creature sound like she has throat cancer?!? 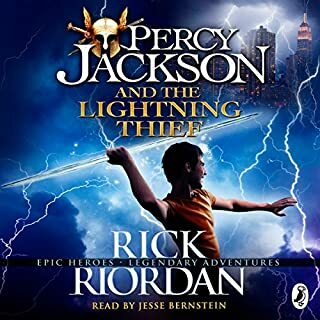 I've read the book before but haven't had time to read it again, so I was excited to listen to the audio book whilst driving. I wasn't a fan of the beastly voice that was given to the dragon. As a powerful and magical being, her voice sounded too brutish and unintelligent and frustrated me when hearing it. The rest of the performance was great. 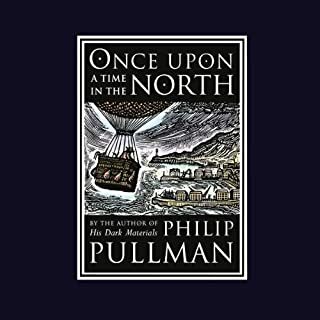 Good narration, But bad character portrayal. Eragon is a childhood favorite of mine. 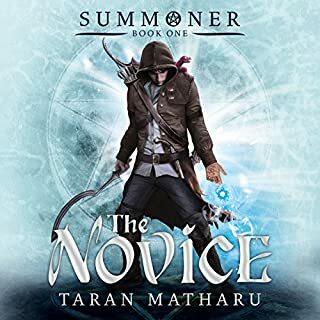 this is a good narration of the story, however I felt eragon was portrayed too whiney; asking questions to complain rather than out of curiosity. Saphira is also voiced with a deep growling voice, Which would be fine if she actually spoke the words. The dragons could be voiced with more nuance and personality if they sounded more like people. 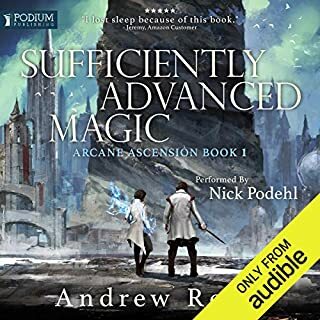 I enjoy this audio book. I have previously read the book and seen the movie and would have enjoyed it more if it was read more slowly. A more female voice for Saphira. over all quite good. 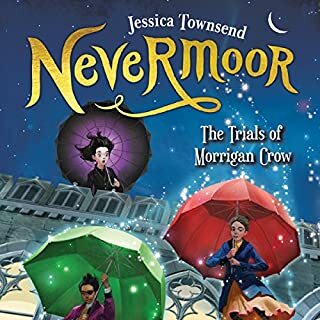 Never having been a fan of the fantasy genre I gave this book a try on the recommendation of my daughter who has read all three in the series and loved them. Well worth listening to and I will be listening to the other books. 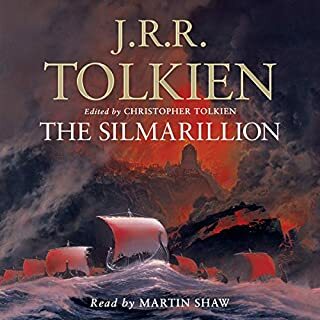 A fantastic read or rather 'listen' although the dragon voice was a little unsettling. All together both the Author and Gerrard Doyle did a great job. Would you listen to Eragon - Part One again? Why? 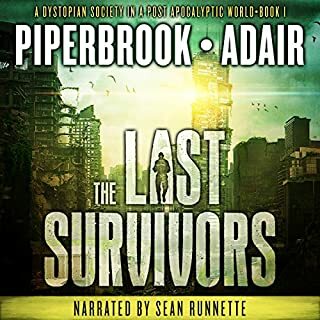 I quite enjoyed the story and loved the narration by Gerrard Doyle. Sooooo much better than the movie. 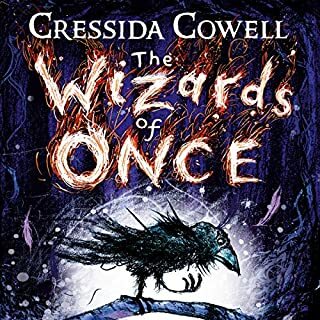 A good start to what appears to be a great Fantasy series. Which character – as performed by Gerrard Doyle – was your favorite? 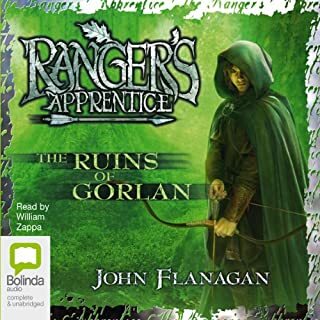 Loved the portrayal of Brom, loved the character in the movie as portrayed by Jeremy Irons (a most underutilised actor) and it was great to see him fleshed out in the book and greatly portrayed by Gerrard. The story and so many things in this book are obviously inspired by Tolkiens' works, but done with a obvious love of the original source and with just the right spin to make it his own world, an incredible feat for any author let alone a 16 year old novice (I believe that's how old Mr Paolini was when he finished Eragon).I look forward to sharing this book with my children as they grow older as it is a fine addition to anyone who loves Dragons and the bond they can have with their riders. I wonder if Anne McCaffrey ever read Eragon? it is the best book ever so wonderful. it stirs up emotions guide you to all the places eragon goes. loved the show. 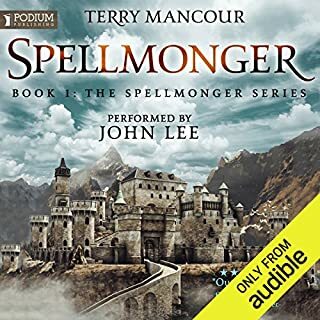 The narrator is fantastic with pronunciations and his narration skills. 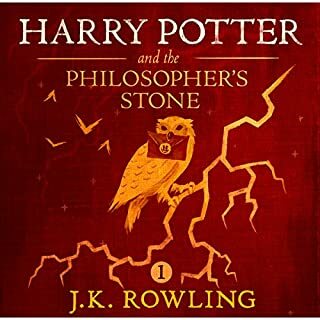 Cannot wait to listen to the next book. 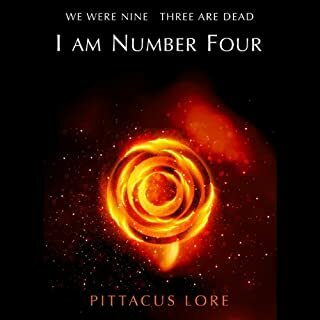 This is one of my fav books. 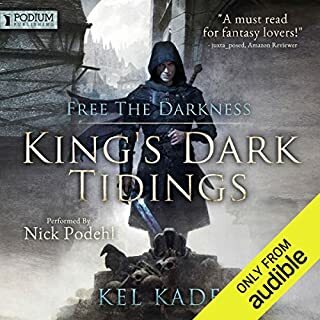 Yes, this is an audio book I will listen to over and over again as well loved characters come to life. Gerrard Doyle has a beautiful voice and the life he instills in his characters makes thems so much more real - and there are quite a few. I enjoyed how you share Eragons journey from simple farm boy to Dragon Rider and I love Saphira's development and the sense of humour and possessiveness she has for Eragon. The whole world that you are introduced to, the magic, elves, dwarfs, dragons and intrigues are thoroughly enjoyable. I enjoyed the book, but why split it into two? I have read plenty of books longer than this that are not split at a place where you have to buy the second half. Is this a money spinner audible? Would be great to have a female voice for the dragon. but love it all the same. still great to listen to. Great start - shame they split the book in two ! 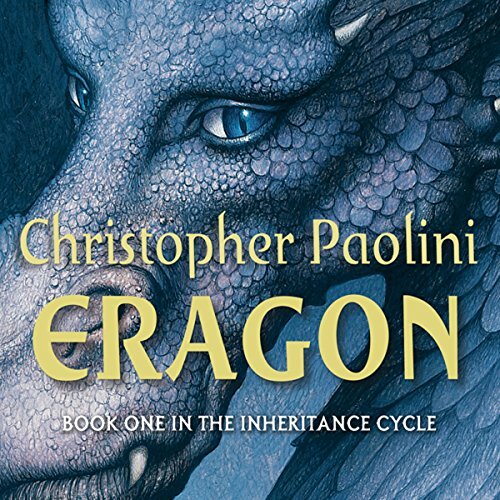 Would you listen to Eragon: The Inheritance Cycle, Book 1 - Part 1 again? Why? I think the story is engaging and it has elements that mean you could listen to it over and over. What about Gerrard Doyle’s performance did you like? Gerrad Doyle's performance overall is good; characters sound different and speech is clear. 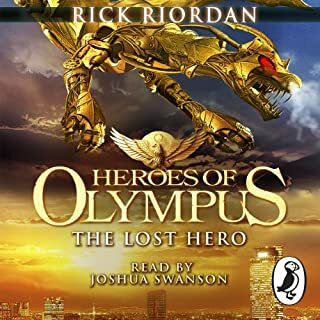 There is already a film to this book which I have seen before getting the audio book and so far they are very different, but I am enjoying it. I don't like the fact the books are split into two parts! There are longer books un-split! Really great story, gripping and enjoyable. Shame that the voice of the dragon sounds more like a man than I think it should. I really love this book. The story is told well but the voice used for the dragon is a bit obnoxious. It's all gurggly like someone who's smoked too much. 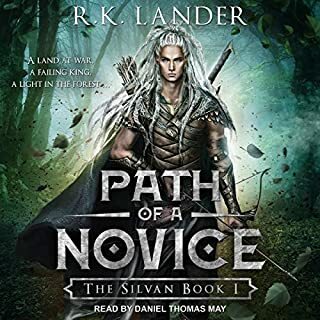 I understand the perspective the narrator was going for and I can get over the annoying dragon voice because the story is just that wonderful. It's the kind of story you can really get wrapped up into and really makes you want to find out what happens next. 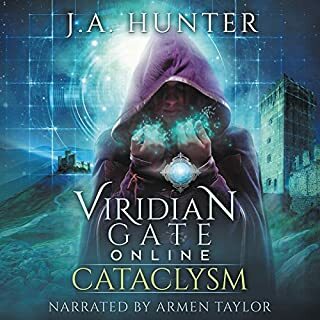 This book is amazing and if you like your fantasy adventure it will keep you listening. Make sure you buy the combined book though not this which comes in two halves. the voice for zafira was irritating to me, not sure why but lacked personality somewhat but that's the only downside I found everything else was fabulous.